Welcome to the galaxy of An Alien with a Magnet, an amazing new platform-adventure-puzzler with a literal twist! 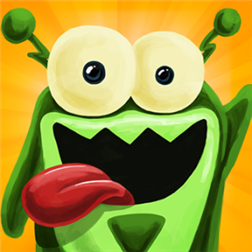 Pick up diamonds, find secret orbs and unlock new levels to get the alien home safely in this new crazy mobile game. The single touch gameplay will get you started instantly! It’s easy to control but hard to master! Don’t let the cute looks of our Alien fool you! Try it Free Below or Buy it Now for only $0.99!